I love the blues you chose. 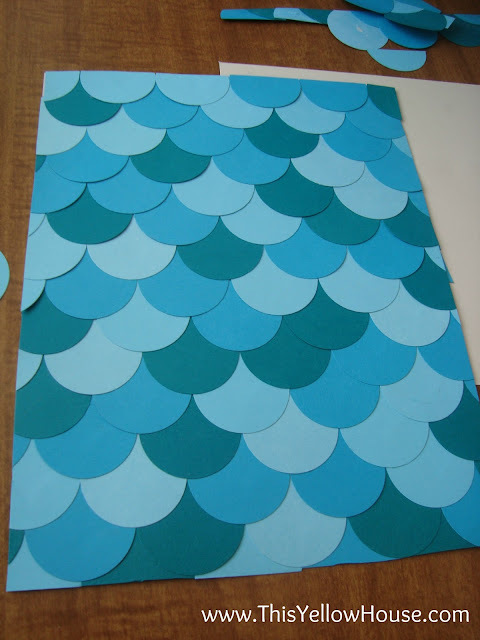 Reminds me of fishes. :) Hopped over from YHL! Love this! It looks like a store bought art piece! And I can't wait to try it with some other colors to match my home. Very cute! 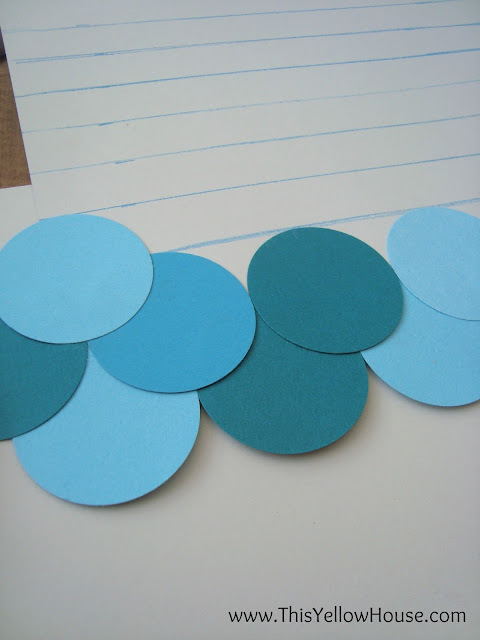 I have a circle punch that I've only used for the project I bought it for....I really need to do something like this and get some more use out of it! Thanks so much! Yes it's nice to use something that is just sitting there. 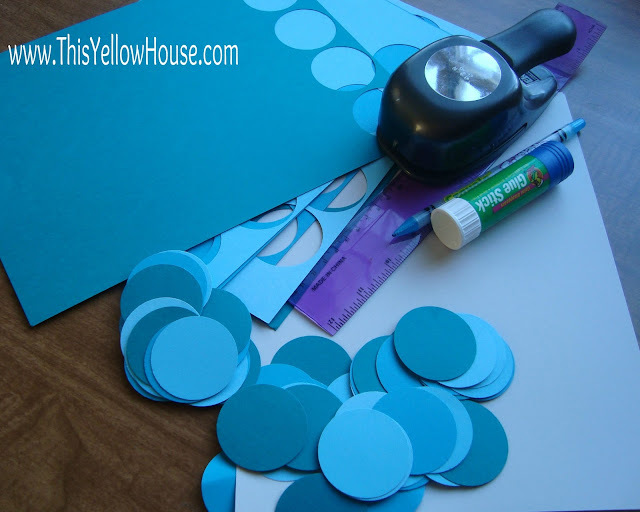 I bought the circle punch to make cupcake toppers for my kids party and I was dying to use it again. So simple but really great texture! I'll have to keep this in mind. Pinning now! Fun idea and so easy and inexpensive to make! Thanks for entering One Crafty Contest! Thanks Amy! And thanks for hosting such a fun contest! Ooh I love this! DIY artwork is always the best. You chose such pretty colors too! I popped over from It's Overflowing--thanks for sharing! I loved this so much that I featured it on my blog today as part of a roundup of unique framed art ideas! Check it out here: http://justagirlandherblog.com/unique-framed-art-ideas/ . Thanks so much for the inspiration! 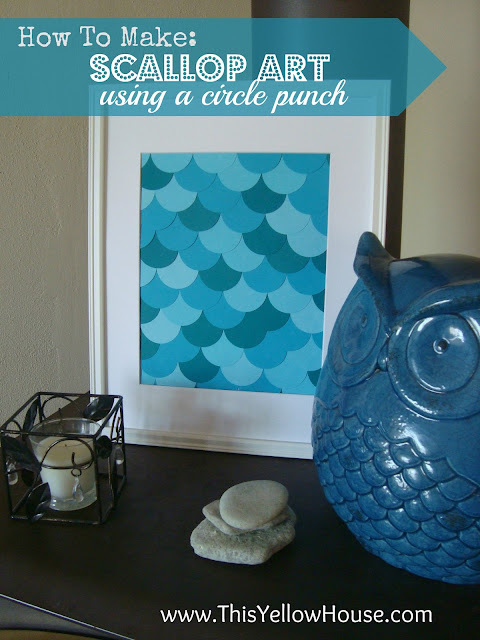 This is SO fun, I am pinning! I'd love for you to come share it at the link party I am cohosting right now! Funny, I have that SAME owl! !